Adam J Purcell, Andy Simpkins and Keith Dunn sit down, cybernetted, in front of the first season Babylon 5 episode, And the Sky Full of Stars, and spout our usual nonsense! 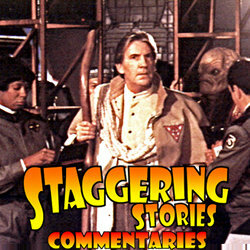 The Lurker’s Guide to Babylon 5: And the Sky Full of Stars. Wikipedia: And the Sky Full of Stars. 02:05 — Doctor Who: 2011 episodes being reshuffled. 03:39 — David Tennant: Doing Shakespeare with Catherine Tate and maybe marrying ‘his daughter’ after allegedly getting her up the duff! 05:42 — Torchwood: The New World becomes Miracle Day. 06:47 — Alien: Ridley Scott’s prequel no longer an Alien film. 09:00 — Tron Legacy: Perfoming well internationally, less certain in the US. 10:26 — Doctor Who: Tom Baker has fun at Pertwee’s expense. 12:38 — Birth: Congrats to Yvonne. 13:53 — Gallifrey: We’re going to the LA convention and will release #100 there! 31:18 – Quiz: Name that Doctor Who character and story. 42:37 – Retrospective on the year 2010. 100:46 – Farewell for this podcast! 101:33 — End theme, disclaimer, copyright, etc. The Two Minute Time Lord Podcast. 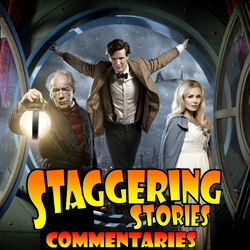 Adam J Purcell, Andy Simpkins and Keith Dunn sit down, scrooged, in front of the Doctor Who 2010 Christmas Special, A Christmas Carol, and spout our usual nonsense! BBC: Doctor Who – A Christmas Carol. 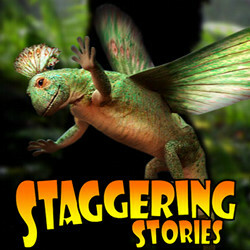 Staggering Stories Podcast #97: Predictions… of Death! 02:46 — Doctor Who: A Christmas Carol performed well. 05:18 — Stargate: No fourth TV series planned. 07:07 — Doctor Who: ‘Experience’ attraction test days. 10:11 — Ashes to Ashes: New short story in Daily Mail over Christmas. 10:39 — Doctor Who RPG: Finally updating to Eleventh Doctor! 13:10 — How wrong we were: Predictions for 2010. 19:16 — Predictions for 2011. 24:44 — How wrong we were: Fears for 2010. 29:14 — Fears for 2011. 32:36 — How wrong we were: Hopes and Dreams for 2010. 37:04 — Hopes and Dreams for 2011. 41:28 – Doctor Who: A Christmas Carol. 85:12 – TCEDWTR: The End of Time (a parody). 113:11 – Farewell for this podcast! 114:22 — End theme, disclaimer, copyright, etc. BBC Events: Doctor Who Experience Pilot test days. Adam J Purcell, Andy Simpkins and Keith Dunn sit down, na’ka’leened, in front of the first season Babylon 5 episode, Grail, and spout our usual nonsense! The Lurker’s Guide to Babylon 5: Grail.